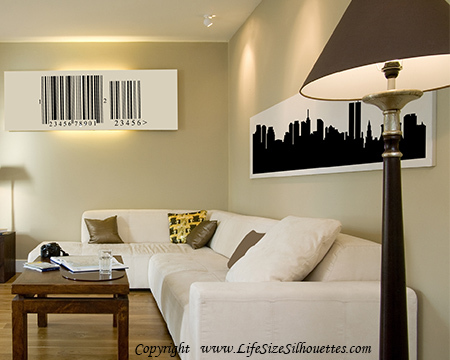 Looking for a QUICK and EASY way to display your favorite city? 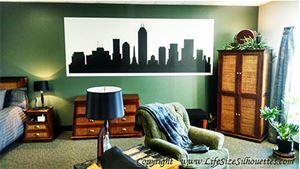 We love our city skylines because they always bring a twinge of pride and joy when we see our hometown city or favorite place to visit displayed in our home, dorm, or office. Our custom skyline decals are easy to apply and will quickly transform those bare walls into something you can be proud of. They are perfect for decorating living and work spaces, hallways, etc. 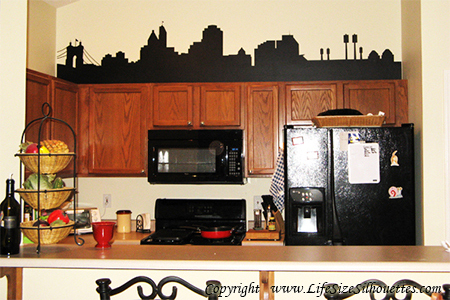 Our city skyline silhouette wall transfers (decals) are durable, easy to apply, and very realistic. They are so thin they look like they are painted on the wall. Our permanent vinyl is waterproof (washable) and resistant to UV rays, fading, and tearing. It's great for outdoor settings or public areas. Our removable vinyl is also high quality, but offers easy removal. You won't be disappointed! It's easy! 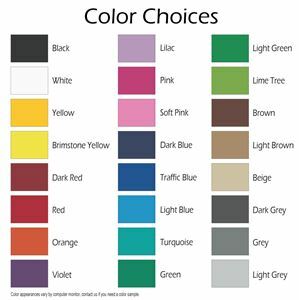 Just specify the city you want; choose the size and color; select the vinyl type; note any special instructions (specific dimentions you want it, etc. ); and checkout. That's all! We'll email you a proof in a few days and after your approval, your custom skyline decal. 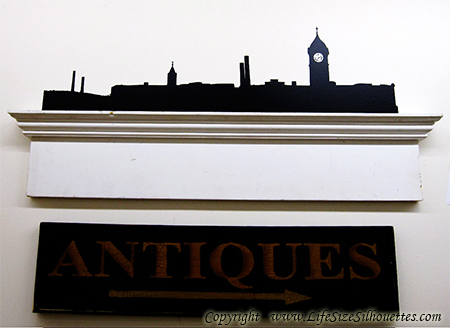 If you would like your custom skyline decal a very specific size, tell us in the special instructions box. Otherwise, we will make it as large as possible (according to the size limit you purchase).